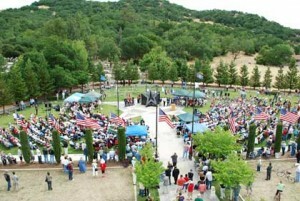 On Monday May 31, 2010, Jean-Marie was a distinguished guest at the 52nd Annual Memorial Day Observance at the Sonoma Veterans Memorial Park, adjacent to the Sonoma Veterans Memorial Building, in Sonoma, CA. An American Eagle-eye view of the Sonoma Valley Joint Memorial Day Observance at the Sonoma Veterans Memorial Park. Speakers included Carl H. “Chip” Allen, former U.S. Navy submarine officer, and Rev. John S. Crews, retired U.S. Navy captain and a former Naval chaplain. Also during the ceremony were the procession of local veterans from all service branches; the procession of a riderless horse; and the placement of wreaths by veterans and service groups. 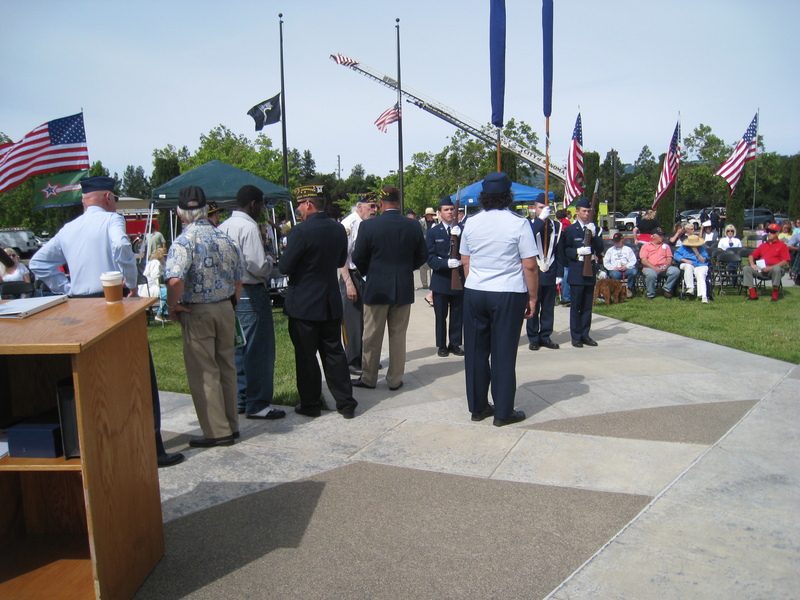 Jean-Marie, representing POWs, was given the honor of laying one of those wreaths. Finally, the release of white doves to conclude a day of pride and patriotism.